We’re Goin’ Bananas today on Created by Diane! Are you ready for these super delicious banana cream filled cupcakes? These do not disappoint one bit. The frosting is smooth and creamy without being overly sugary, not that overly sugary doesn’t have it’s place….but just not today. The banana cupcakes are lighter than banana bread but still moist and delicious. well that is the over the top delicious part. *note to self next time make more banana cream filling so I can eat it by the spoonful for DAYS!!! Yes it was that good. Place the chilled banana cream into a piping bag or plastic bag with the tip cut off so you can easily fill the cupcakes without any mess. 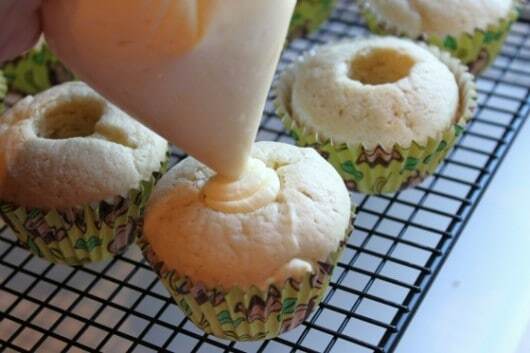 Place the top part of the cupcake piece you removed onto the cream. Just take a small knife and trim off the excess cake and eat it of course, that is the fun of making filled cupcakes, right? This is a delicious and easy chocolate frosting recipe, just remember to melt the chocolate chips and give them a few minutes to cool before adding it to the butter or the frosting will melt and you don’t want melted frosting. If you are in a hurry, put the bowl of melted chocolate over a bowl of ice water for a couple minutes. You don’t want the chocolate to firm back up, you just don’t want it to be hot. 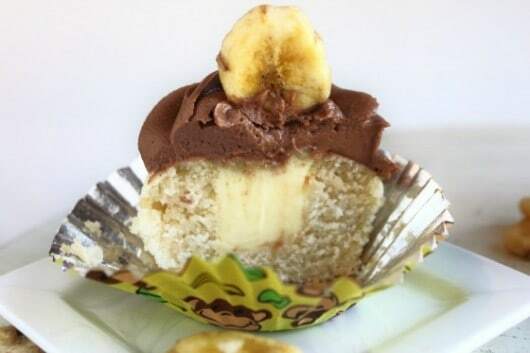 I decorated the banana filled cupcakes with the chocolate frosting and a 2D tip and added a banana chip to each one. Here you can see the thick banana cream filling. This is one of those times when you make something with a packaged item and don’t follow the directions and wonder if you should call the company and tell them you made their product even better than they imagined and they should now put your idea on the box! Well at least I think they should. 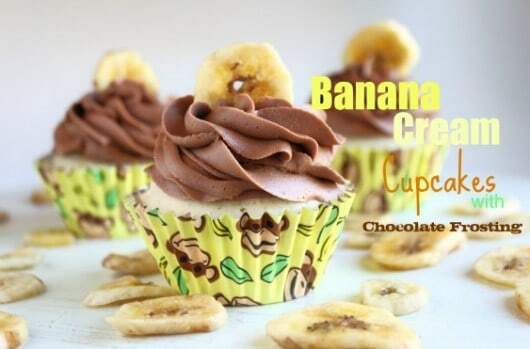 The cupcakes remind me of banana cream pie and a frozen chocolate covered banana all in one. *be sure to make banana cream filling first so it has time to set up in refrigerator. Beat sugar and eggs, add flour and baking powder. 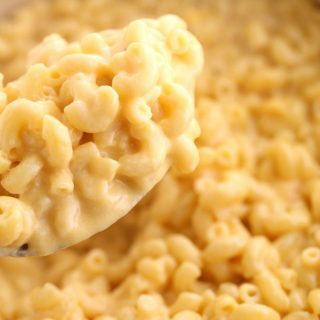 Pour in milk and butter and oil, beat one minute until smooth. Beat sugar and eggs for 1 minute. Bake at 325 degrees (with dark pan and foil lined cupcake papers) for 20-25 minutes. I just LOVE how cute these Monkey Cupcake Wrappers from Renyolds are they really looked so bright and pretty on the cupcakes. Banana cupcakes with banana cream filling chocolate frosting and a banana chip, yes I told you we were goin’ bananas today! If you liked “Goin’ Bananas” with me, you may like this fun banana board on Pinterest. Danger! 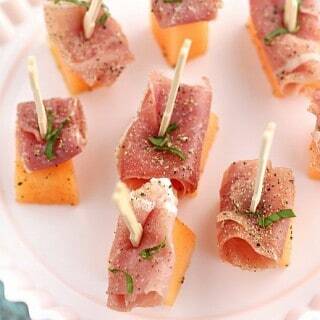 I want to eat a whole plate of these! The banana cream of my dreams!!! oh these are my dream cupcakes!! love this Diane! Truly lovely! What is the little gadget? Could you put a link? Oh wow… Banana cream and chocolate frosting! In a cupcake!! Love it! Scrumptious! 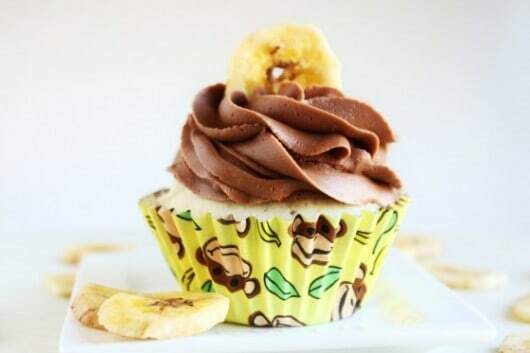 Can’t go wrong with bananas and chocolate in any form but cupcakes are perfect! 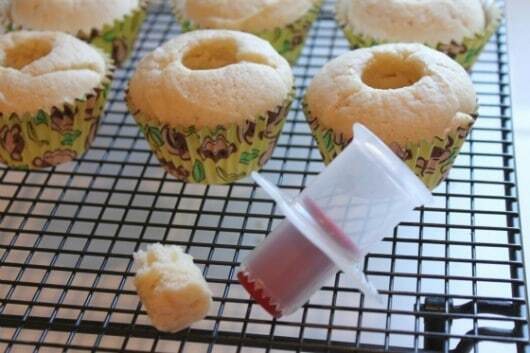 What is the name of the tool that you used to take out he centers of the cupcakes and where did you get yours..?? 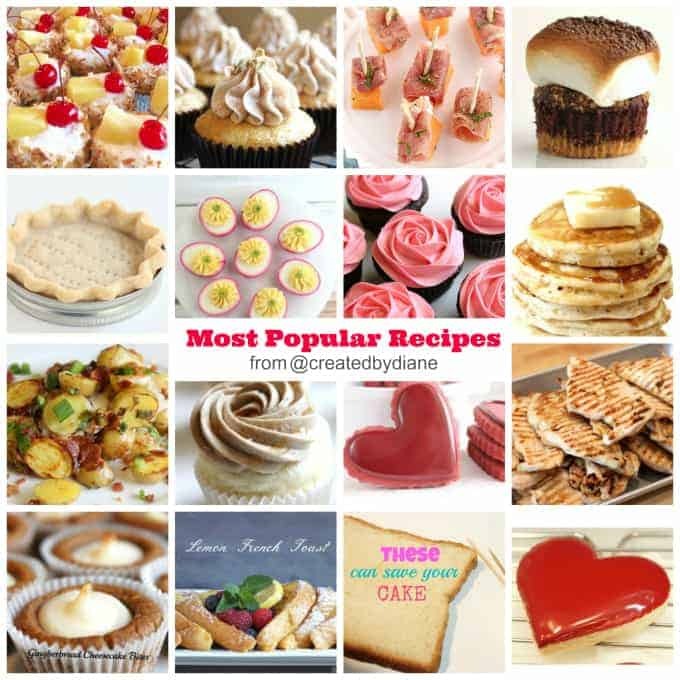 Diane – you are just the Queen of cupcakes! These cupcakes are amazing, Diane! I LOVE banana + chocolate, and that creamy banana cream filling looks incredible. 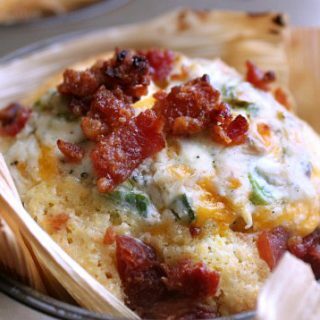 Holy cow these look delish! I want all of them! YUM! I saw these floating around pinerest yesterday. They do not disappoint! Gorgeous. 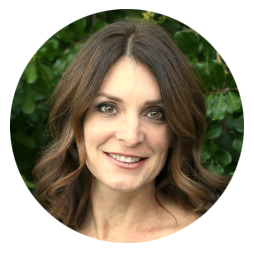 Diane, if I could grab you and kiss your face right now, I would! AWESOME idea! The monkey cupcake papers are perfect! I love these! Oh my gosh….love these! Beautiful and delicious, Diane. It’s Friday & it’s been a long week. Can I have about 10 of these? They look SO good! It’s funny, I don’t like bananas at all, but I really love banana baked goods. These look like something I could devour really quickly! Gorgeous! perfect combo. love the cupcake wrappers. too cute. These are sure some beautiful cupcakes! Diane, am I missing something? Noticed that you stated something about using a corer to hollow out especially when making 4 dozen but can’t tell how many this recipe makes. They look so good that I am secretly hoping that it does yield 4 dozen. LOL! I really like the way you decorated these cupcakes! 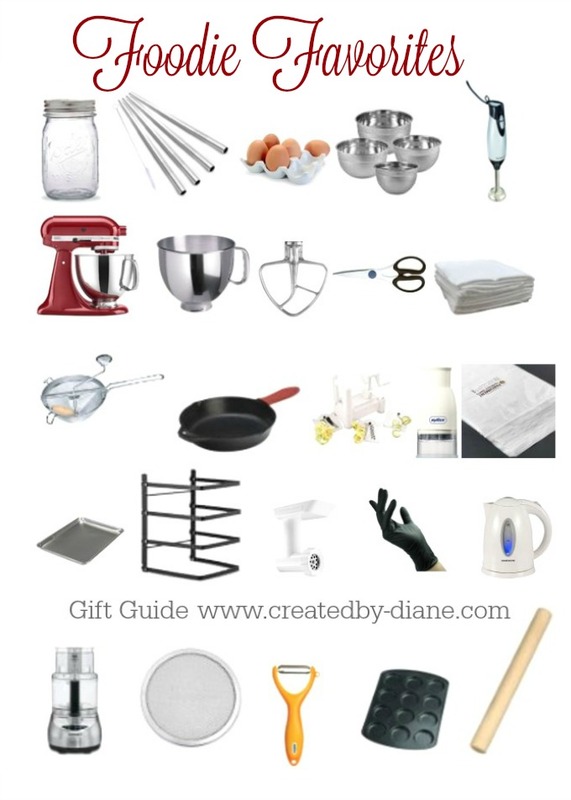 Great wrappers for delicious cupcakes! So cute! Dang it!! I wish I would have read the comments or you would have edited the recipe above, because I just made these but I divided it between 24 cupcakes (as that is what most usual cupcake recipes make) and hoped they would rise or something….NOT. They are very small. Thank goodness I made a bunch of the chocolate frosting to make up for it. They do smell awesome, and I am sure they will taste awesome, just wish I would have known only to make 12…not 24!!! I’m so sorry about that. I did update the recipe now to reflect how much batter to use and how many the recipe makes. 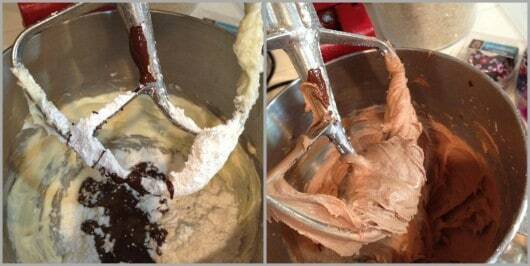 Three tablespoons is a general guideline on how much batter to fill each cupcakes area. 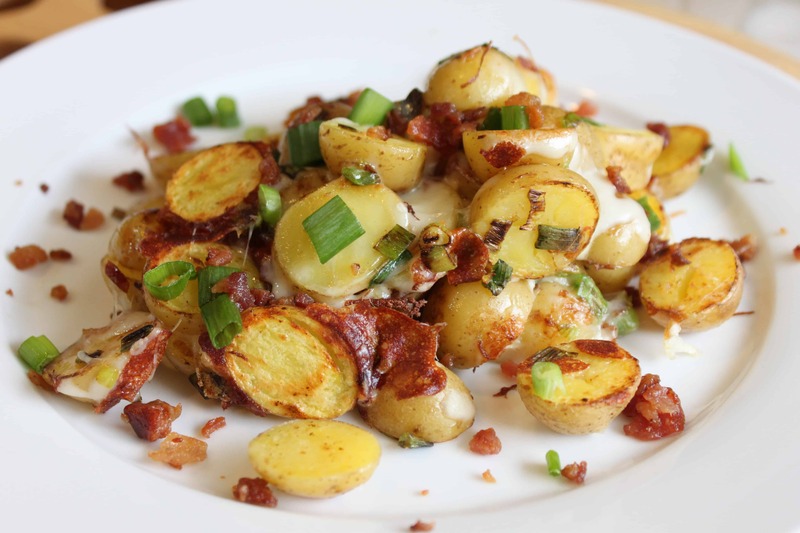 I didn’t realize that I hadn’t updated the recipe to reflect the comment that I made. Nothing wrong with a little extra frosting though 🙂 hope they were enjoyed. I don’t know if I tried making these wrong or not. Is the butter supposed to be softened or melted? And where does the oil go in? Just made these cupcakes for my daughter’s baby shower. Did not use the wrappers but the cupcakes were a huge success. Everyone loved them I did have a monkey theme too so it worked out great. They taste soooo good! Thanks Diane for the recipe. you are so welcome, I’m glad they were a hit with everyone. Could i use cake flour for these cupcakes? I haven’t used cake flour in this recipe. My guess would be that the cupcakes may turn out lighter and fluffier and may not hole up to the filling and frosting as well. It’s sure worth a try though, let me know if you try it and how it turns out. okay thanks! does the butter need to be softened or melted? I use room temperature butter and eggs when I bake.